Microsoft Andromeda : Surface Phone In The Works? 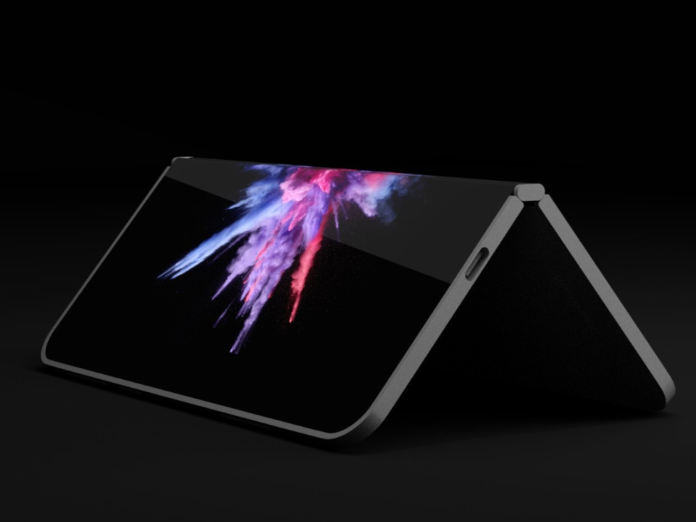 A concept render of the Surface Phone / Andromeda device made by David Breyer. According to Microsoft CEO Mr. Satya Nadella, even after Windows Phones’ failure back in 2016, Microsoft still wasn’t done with mobile devices. He said Microsoft would go on to make the ‘Ultimate Mobile Device.’ It had long been speculated that the Surface Phone was going to be a thing. But then, rumors around a mysterious device code-named ‘Andromeda’ started to fly. The case for a Surface Phone or a new foldable Microsoft Andromeda device has been made even stronger by recent reports. Continuing with its Surface line of products, Microsoft Andromeda is a ‘pocketable’ foldable device with dual screens. Microsoft is aiming the enter the mobile market once again with unique hardware and optimized software. According to leaked internal documents, Andromeda would ‘blur the lines between mobile and stationary computing.’ It makes it safe to say that Microsoft might take cues from its previous attempt at the same, namely Microsoft Continuum. The hardware for the device is going to be a tablet-phone hybrid. The device is expected to have at least 64 GB or 128 GB of internal storage with multiple RAM options. 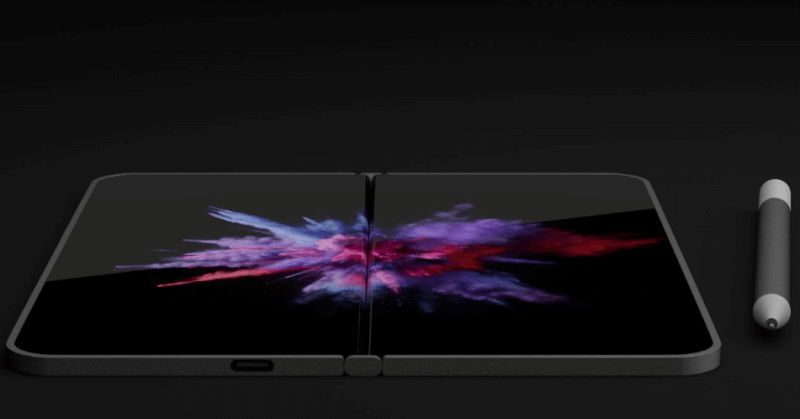 Since the device is foldable, there is obviously going to be a hinge. However, a recent patent filing by Microsoft implies the hinge will be a special kind. One side of the device will come with an ultrasound sensor, while the other will come with an ultrasound emitter. This pair in harmony will ensure the seamless switch in software in accordance with its orientation by the user. The processor for the device is still anyone’s guess. The device will run a specially optimized version of Windows 10 so that it can achieve both the Surface Phone mode and the traditional tablet one. 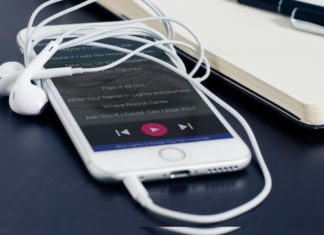 It goes without saying that the device will have OneNote and Windows Ink integrated for faster note taking. A software concept renders of the Surface Phone / Andromeda device made by David Breyer. 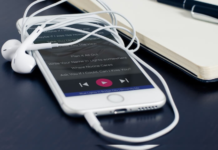 The device will make use of the ultrasound hinge to switch between the mobile and tablet modes of the software. It will calculate the angle at which the devices are handled for better switching. That said, the device will still be rooted in Windows 10, as it is expected to have the Microsoft Continuum feature. All leaks and rumors thus far suggest that Microsoft Andromeda will be an innovative, premium device. 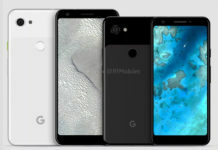 It could cost upward of $1000 upon its release, which is expected later this year. But Microsoft is also working with Intel on a similar project named ‘Centaurus.’ Therefore, as other OEMs adopt the technology, the prices may come to an affordable range. Of course, all of this is assuming the project becomes a reality and succeeds. Microsoft will face a ton of competition from other companies as Samsung is getting ready with its Samsung Galaxy X, Xiaomi has also teased a concept, and a small company called FlexPai has already released a foldable smartphone. However, Microsoft has been the most secretive and has the most innovative hinge-software mechanism of all known projects. Re-entering the market? Yes. Innovation? Yes. Foldable? Yes. But.. is it enough for Microsoft to gain it’s place in the smartphone market again? Only an all-around awesome product that holds well with the costumes can ensure that. Well, it is too early to judge, so we would recommend waiting for the right time. But, expectations are high as always. Previous articleOppo’s next flagship to be named OPPO FIND Z! 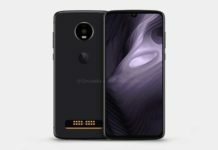 Next articleMoto Z4 Play To Feature 48MP Camera and Snapdragon 675 Chipset!